Everyone has those little things that they just struggle with. Whether its adult acne or pigmentation issues and sunspots; through to those with more significant skin concerns like ageing, rosacea and serious scarring . We settle in and get used to the idea that this is just the way that our skin is, that there’s nothing we can do about it and end up disliking how our skin looks in the mirror to hiding behind a face full of make up. Museo have been working with some of our most dedicated clients to achieve serious and significant transformations in their skin when they decided they could no longer just “deal with” those skin issues that really bugged them. We know from working on hundreds of peoples troublesome skin over the years that these little issues can be easily fixed in a targeted series of treatments from Museo – sometimes as quickly as within the first 1 or 2 treatments. As a special offer, we are giving anyone who wants to transform their skin NOW a completely complimentary Skin Consultation, usually $55*. Start your skin transformation today and fill in the form here to organise your consult. Pigmentation issues like uneven skin tone, sun spots, hyperpigmentation or melasma are some of the more common issues we see, and some of the easiest to treat. 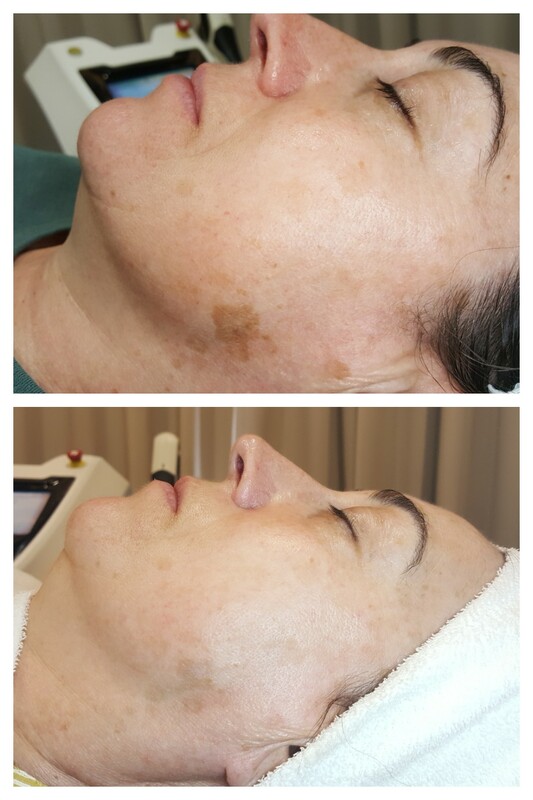 As you can see here in this amazing before and after on the left we were able to achieve fantastic results in lightening and softening this brown pigment by her chin through targeted IPL treatments and a series of peels. In this case, the pigment is essentially ”pulled” up to the surface of the skin and the skin then naturally sheds and breaks up the pigment. Stick to your skin routine as recommended by your skin specialist at Museo and you should see clearer skin almost immediately. It only takes a few days. Persistent facial erythema ( redness ) and visible capillaries can easily be treated. On the right, through a series of skin needling, IPL skin rejuvenation treatments and peels, you can see the skin health vastly improved. There is a significant reduction in the broken capillaries and we have thickened the epidermis through skin needling and improved the skin functioning in the epidermal and dermal layers. We were next able to start treatment on the secondary skin concern of hyperpigmention. You can see that the overall look of the skin is much lighter, calmer and healthier. 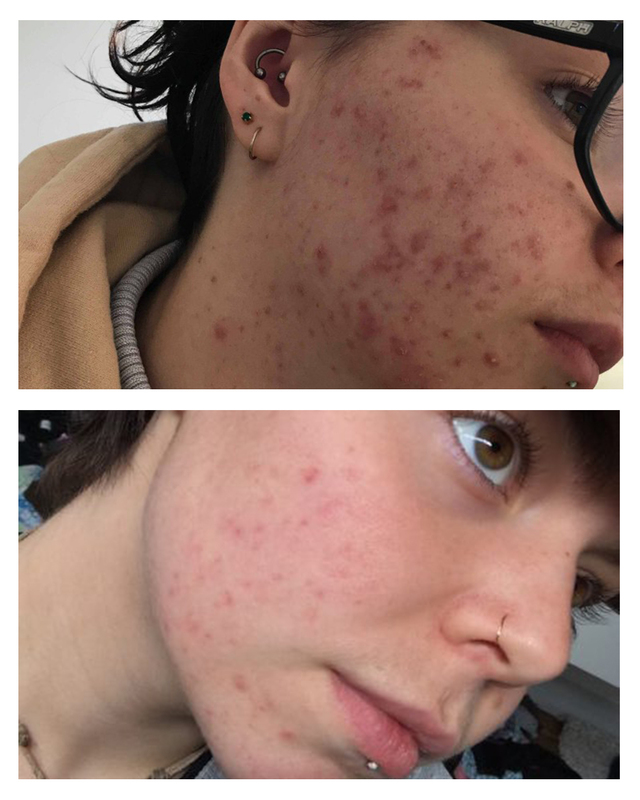 Our client is well on her way to achieving her skin goals. Adult acne is another matter all together – but still equally treatable. These red and angry spots can be an absolute plague from early teen years right the way through adulthood and even during pregnancy. But you don’t have to live with it. If you’re dedicated to changing your skin, the team at Museo can help you achieve incredible results just like these in just a few treatments. Through a series of decongesting facials, chemical peels and skin needling treatments, we were able to control the acne, resurface the skin and work on reducing the scarring. 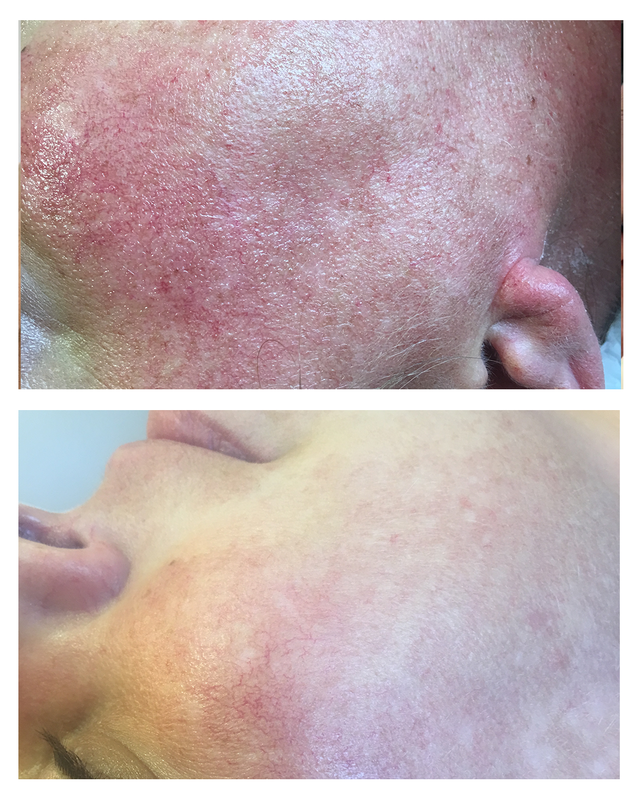 The results really do speak for themselves here and we are so pleased to be able to offer such great improvement in the skin for our beautiful client. Depending on what your skin goals are, our team of skin specialists can help you craft a detailed and personalised skin program to best help you achieve those goals. Treatments are generally done every 2-3 weeks, allowing time for the skin to heal between each session but frequently enough to really target and see significant results. The length of your course of treatments completely depends on what you’re trying to achieve and how your skin responds to treatments. From this intensive period we transition you onto a maintenance program designed to ensure you keep your beautiful new skin, with appointments usually monthly or bi-monthly depending on your schedule. We encourage you to take your skin in hand and get a fantastic transformation on those skin issues that really bug or even embarrass you. You can be on one of our bespoke Museo Skin Treatment plans within a few days for as little as $50 a week with our payment plan options, getting you on your way to achieving your skin goals for far less than most people think. You can pay for your treatments upfront and receive a 20% discount, or join a payment plan that might be more suitable to your cashflow week-to-week. We want to help you have your best ever skin – all you have to do is ask for some help. Get in touch via the form on our Contacts Page and let’s get you into your best ever skin with Museo. * We will only be taking bookings for our complimentary skin consultation offer till March -30 2019 although consultation appointments can be made at a suitable time for you through to mid –April.